Clayton Brook is located at 7067 189th Street in the Clayton Heights neighborhood of surrey. 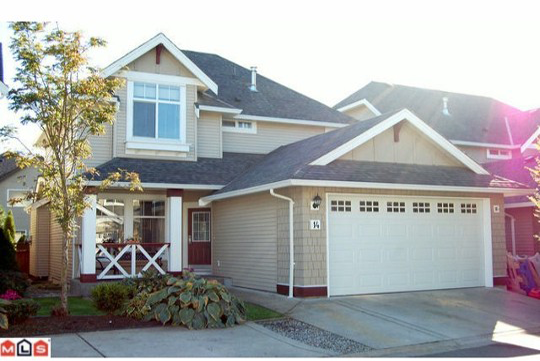 This complex is a beautiful detached home with three levels of living area. Clayton Brook is a 2 storey building consisting units which was built in 2004 and developed by Park Ridge Homes. Well maintained and cared for, it offers a fenced and level yard with a covered patio. The odyssey begins when you step inside this spectacular home. Close to Hillcrest Village (Price Smart Foods, Extra Foods, Starbucks, Shoppers, restaurants, etc.....), Elementary & Secondary Schools, Parks including Dog park, Fraser Highway, and Transit. This home features Maple cabinets in the kitchen as well as the much coveted breakfast bar. An adjacent dining room compliments the kitchen when entertaining guests in this spacious 2835 square foot home. The kitchen and dining room both feature easy to care for yet beautifully glowing laminate flooring that coordinates beautifully with the cabinets.